Weddings are one of many important events that happen in a couple’s life together. The day goes by so fast; you want to make sure you surround yourself with the best people to make it memorable and enjoyable. My First Wedding - After my friend asked me to shoot her daughter's wedding, I was so nervous because I didn't want to screw it up. I got to know the bride and groom a little before the wedding and found out what kind of shots they wanted. I did so much research because I wanted to be ready. We had so much fun taking pictures before and after the ceremony, I decided to add it to my services. What's the saying; "If you love what you do, it's not work." I'm a Commercial Wedding Photography which entails not only recording your journey from beginning to end but also taking posed pictures that encapsulates your emotions at that moment as well as short video clips throughout the day then I combine them for a special slideshow. So, I'm kind of your photographer/videographer. Watch the video of Jessica & Douglas Melton below to see what I am talking about. My Coverages include at least one assistant/second shooter and all images received are high resolution digital files given to the client at no extra cost. There are no travel costs for wedding packages more than $4500.00 anywhere in Florida. I will travel to your wedding anywhere in the continental U.S., with the Complete Package. If you don't know what my Photobooth is; it is a camera on a tripod with a remote trigger. I set it up somewhere in the reception area where a group of you can take silly, crazy, romantic, or whatever kind a pictures you like. HAVE FUN!! All the Photobooth pictures will be available to download at no extra cost by all your guest from your online gallery shortly after the event. For those that don't know what a Bridal Session is: it is a photo session with just the bride all done up in her dress usually at different locations than the wedding. The Bridal Session usually happens way before the wedding when the brides dress is ready. The goal of the bridal session is to get that one perfect shot for the bride to either hang on her wall, put it in the newspaper, or display it at the reception. Of course the bride will have all the images from the session. I recommend that your photography begins at least 3 hours prior to the ceremony. This allows us to have enough time to capture your getting ready, the bridal party, family, details, groom and bride portraits so that once you two are together after the ceremony, you don't need to be separated from each other while we move around the property capturing the joy and essence of the day. There has been some controversy over which slideshow is better. I love them both because they each have their own quality. The one on the left is the perfect style because it was a Rustic Country Wedding but it doesn't show the quality of my images. That is where the one on the right shines. It shows the quality of my images. I will let you be the judge. There are many different slideshow styles to go with different style weddings and I will choose the perfect on for you as well. I tried to write this review so many times and keep erasing how I start off, there's just too many great thing to say I couldn't decide where to begin. Brad just brought our wedding together so perfectly and captured every moment exactly how my husband and I wanted it. From the first call to Brad asking for quotes to him delivering our wedding album he always had a special surprise up his sleeve for us! He sent an email as soon as we hung up instead of waiting a couple days for quotes from other photographers, he followed up with phone calls leading up to the wedding, texting me making sure he was on top of everything, and he even showed up to our final consultation at our venue to go over some shots and visions he had, like a pre-practice for the actual day so we knew exactly what to expect and I feel it helped us get even more pictures. Alexis stayed in the bridal suite with us and captured all those unforgettable moments with my girls and family which I am so grateful for, she did an awesome job capturing the love between everyone on our wedding day! He was so much fun and patient putting up with our wild wedding party! Brad you really delivered beyond expectation and I will forever feel you became a part of our family through our wedding journey. Thanks for helping us relive our wedding day every day through your photography. My husband and I first had the pleasure of meeting Brad when he provided us with a consultation for our wedding photography. Brad was amazing throughout the whole process. He spent the time to explain his wedding package and everything that is included as well as any extras we may want. The attention to detail Brad has put into his business shows in his work and the amazing items he offers to his clients. We were beyond happy with the consultation and booked Brad Tyler Photography on the spot. As the wedding approached, Brad was in constant contact, finding out what our “dream shots” were and making a plan for the day of. Brad even surprised us with some special touches based off our personalities. Brad and his second shooter were prompt and courteous and even came out the day before the wedding to set up lighting to make sure everything was photographed to perfection. I can honestly say, we have never felt more comfortable with a photographer. Once the pictures were ready, we were given an amazing DVD slideshow, put together with all our wedding songs. I was in tears over how beautiful everything turned out. Brad has the most amazing products available to remember your special day. I highly recommend the leather bound wedding album. We have received so many complements on the album when passing it around to family and friends. The quality of the pictures along with the lab he uses pair to make outstanding results. 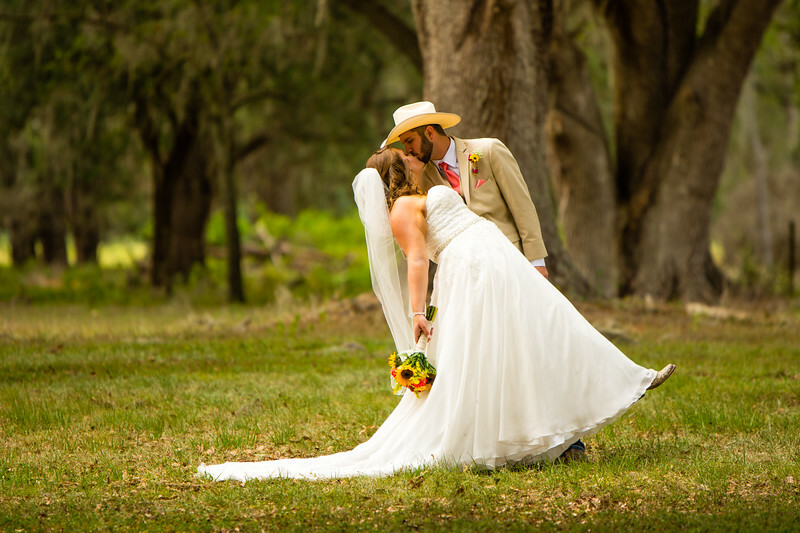 If you’re out there looking for a photographer who puts their heart and soul into making your pictures perfect, we completely recommend Brad Tyler Photography.